Nationally-known comic Ryan Hamilton reaches to his roots and applies small-town Idaho storytelling and sensibilities, expanding pithy comments into contagiously funny narratives. Hamilton has performed standup on The Late Show with Stephen Colbert, Conan, Comedy Central, Showtime, and elsewhere, and has opened for Jerry Seinfeld, whose influence can be heard in Hamilton's approach and pacing. And he was named one of Rolling Stone's Five Comics to Watch. Hamilton will perform five shows in Rochester this week at Comedy @ The Carlson. Though Hamilton is known as a "clean comedian," all shows at The Carlson are 21 and over. 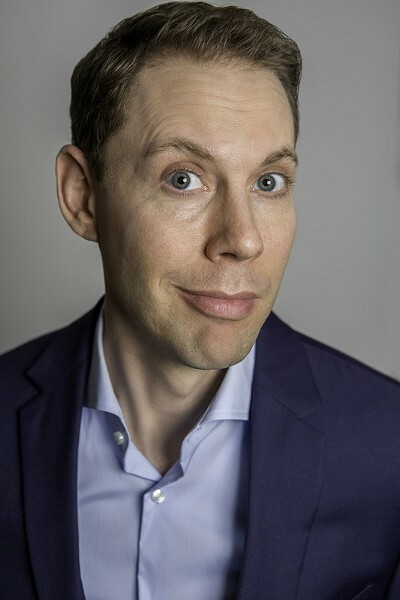 Ryan Hamilton performs at Comedy @ The Carlson, 50 Carlson Road, on Thursday, July 19, at 7:30 p.m., and on Friday and Saturday, July 20 and 21, at 7:30 p.m. and 10 p.m. each day. Tickets are $25. carlsoncomedy.com.